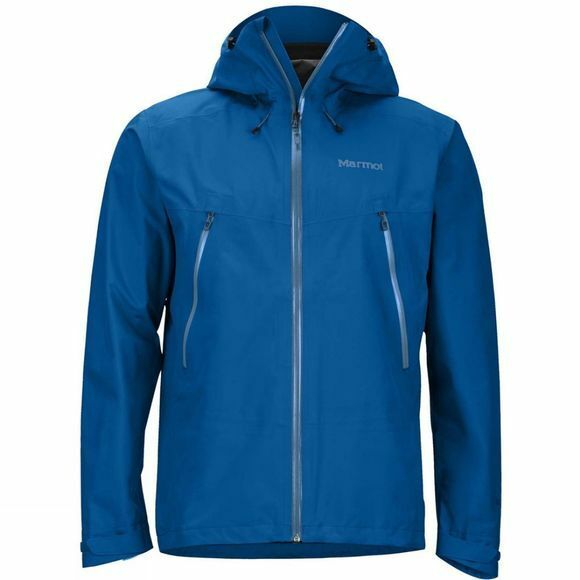 The Mens Knife Edge Jacket from Marmot is a necesarry addition to your pack for unexpected downpours during hiking adventures. The wind-blocking hydrophobic membrane and weight-minimizing Gore-Tex with Paclite Technology keeps you warm, dry, and comfortable. The 100% seam-taped fabric, attached hood, and adjustable drawstring hem will prevent leaks.